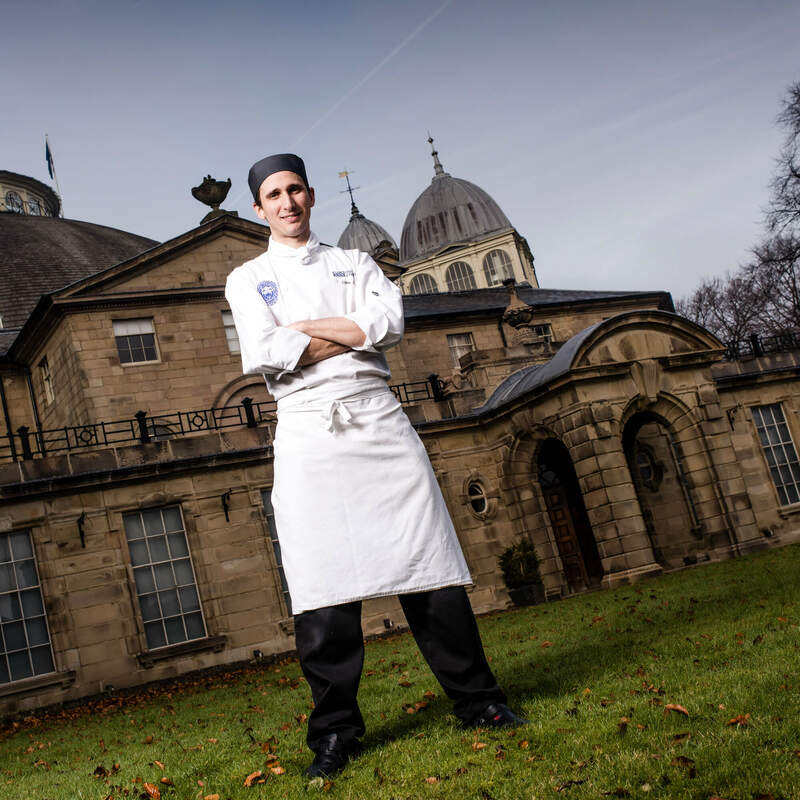 Hone your skills in our professional training kitchens, fine dining restaurant and bistro. You’ll also work on real projects with food producers, breweries, restaurants and major hotel chains. Your exciting career in culinary management starts here. With our outstanding facilities and focus on real-world learning, we will equip you with all the technical, practical and managerial skills you need. Already working in the profession and interested in improving your career prospects? You can take this course on a flexible part-time basis. You can also top-up an existing foundation degree to a full honours degree in just one year. Taking an innovative approach that balances academic knowledge with hands-on experience, our BA (Hons) Professional Culinary Management prepares you for roles at the highest levels of the industry. We have designed this degree in partnership with employers to nurture the culinary leaders and pioneers of tomorrow. It is the ideal starting point if you have set your sights on a rewarding career, particularly in kitchen and restaurant management. You will learn about both the food service and the food production sides of culinary operations. We also develop your managerial know-how alongside impressive technical skills, industry knowledge and professional attitudes. Throughout, you will be exposed to latest culinary technologies, ingredients and processes so that you can develop innovative ideas in line with industry trends. At stage two, we offer a choice of pathways so you can focus on advanced bakery and pastry techniques or on menu and product development. The Centre of Contemporary Hospitality & Tourism will be your classroom, at the stunning grade II* listed Devonshire Dome. It features seven state-of-the-art kitchens, a fine dining restaurant, a bistro and two licensed bars where you will put theory into practice under the expert supervision of our chefs. This is the ideal setting to master your culinary craft, build your management skills and achieve exacting professional standards: the Dome Restaurant was awarded a AA College Rosette scheme, with our students winning praise for their passion and enthusiasm. Every aspect of our operation captures the latest developments in culinary innovation. We have, for instance, invested in a new induction powered training kitchen, reflecting the increased use of induction power over gas in the industry. We also have mobile equipment for off-site events and pop-up restaurants. Your course fees will also include a full set of kitchen whites, knives and safety shoes, plus a complete front-of-house uniform. We promise you total immersion in a professional culinary innovation from day one. You will deliver, supervise and manage fine dining, off-site catering and event catering. Events could range from spectacular weddings and high-profile conferences to graduation ceremonies and banquets for up to 900 people. A recent success story was a six-course tasting menu in celebration of the University’s honorary graduates at Derby Museum and Art Gallery. You will also take part in real-world projects with national hotel chains, international corporations and the many local food producers, breweries and restaurants which help make the Peak District such a magnet for visitors. This is an applied management degree so you will develop the skills to supervise junior members of the team. Because we also specialise in hospitality and events management, there are countless opportunities to see the way different professions dovetail with one another too. What better way to showcase your skills than in high-profile competitions? We have a superb track record in events such as the Toque d’Or, the UK catering industry’s most prestigious competition. Our students have now reached the finals of the Toque d’Or three times and have excelled in other events such as the Country Range Student Chef Challenge and Zest Quest Asia. Taking part in such challenges tests your front-of-house and back-of-house skills as well as your knowledge of food provenance, sustainability, costings and menu development – all of which are covered on your course. It is also a chance to put yourself before industry talent-spotters. Our strong partnerships with top industry names open doors for you, especially when it comes to arranging placements and summer internships. These are an exciting way to receive on-the-job mentoring from respected professionals and broaden your experience in a commercial environment. Placements can often lead directly to full-time jobs when you graduate. Our networks include Michelin-starred restaurants and luxury hotels. Students have boosted their employability with the likes of Gleneagles, Claridge’s and Links House Hotel at Royal Dornoch. There are opportunities for overseas placements too, including with Loews Hotels and Resorts in America. If you are taking the four-year course, a formal industry placement lasting nine to 12 months is compulsory between your second and final year. You normally work as a paid employee. While placements are not compulsory on the three-year course, we support you to gain invaluable experience during your summer vacation, either in paid or voluntary roles. Your course fees cover a UK-based residential trip in the first and second year. Our latest fieldtrip to London took in tours of the Billingsgate and Borough Markets as well as hotels such as Marriott Park Lane and Le Méridien Piccadilly. Some students even secured a visit to the Ritz. There are optional international fieldtrips too. A recent example was a visit to Florence to place the food and drink of Tuscany in a cultural and sociological framework. Our 2017 programme featured Iceland for the first time. We encourage you to take advantage of our Go Places, Go Further scheme and spend part of your course studying abroad. In the global hospitality industry, graduates with an international outlook set themselves apart. If you are taking the four-year degree, you will complete your compulsory placement between stages two and three. The BA (Hons) Professional Culinary Management equips you with applied supervisory and managerial skills together with advanced technical knowledge in the culinary arts. You will deepen your subject knowledge through formal lectures, seminars, workshops, guided study, applied practice sessions, practical demonstrations and videos, small group exercises, and case study discussions. Your practical professional development will take place in a variety of hospitality operations at the University and beyond. This will encompass guest service to commercial standards, technical skills development, sales skills, health and safety, food safety, financial targets and budgeting, HRM practices, staff training, and maintenance of food service facilities. You will engage with industry, the local community and teaching staff to produce valuable research findings for the benefit of the sector. Our employer partners often provide vital support with independent studies. A new collaboration with flavours and fragrance supplier MANE has, for instance, brought a new dimension to students’ work on product development. As a BA (Hons) Professional Culinary Management graduate, you will be equipped with all the real world experience that today’s employers expect. Leading names in the industry seek out our graduates because they are professional, talented and ‘work-ready’. In many cases, our students secure permanent positions as a direct result of their successful placements and summer internships. You can look forward to a wide range of career opportunities within the international culinary sector. You could progress to roles such as food and beverage supervisor, commis chef, chef de partie, graduate trainee restaurant manager, sales executive, licensed retail manager or contract catering manager – to name just a few. You can consider progressing to postgraduate studies in related subjects, including our MSc International Hospitality Management which is ideal if you want to develop your leadership and management potential further or if you would like to advance to roles in academia and research.